The Sovereign Aluminium shutter range is ideal for patios, decks and balconies by providing adjustable privacy, light and sun control as well as protecting your outdoor areas from the weather conditions. It’s the perfect way in which to expand your living areas. The Sovereign Aluminium shutter range is manufactured from extruded high tensile aluminium (TS) with stainless steel hardware. 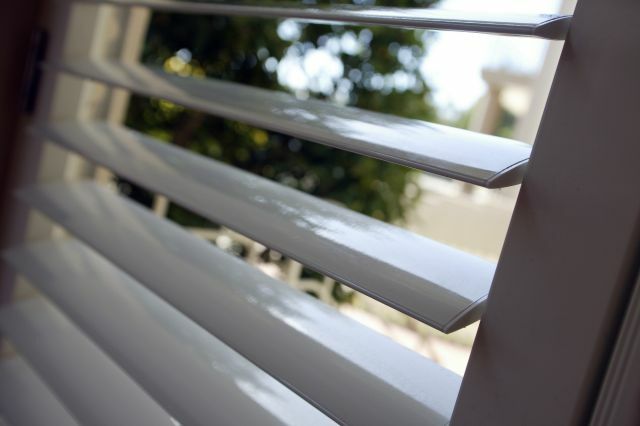 It provides a durable, low maintenance product, suitable for interior and exterior applications. 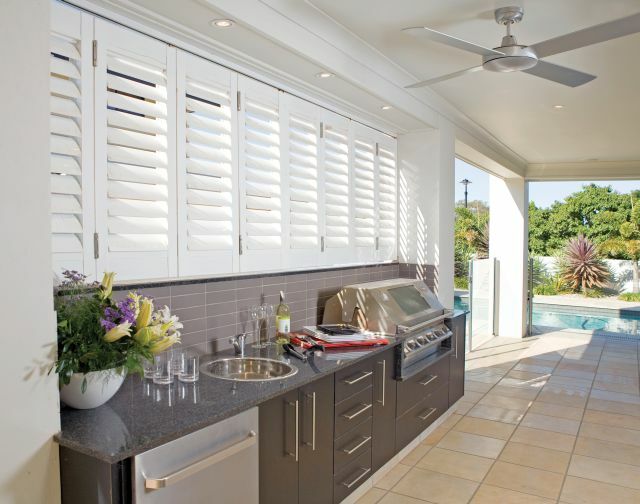 The Sovereign shutter is specifically designed to be exposed to the elements, making it the superior shutter choice for outdoor areas as well as indoor situations. Available in 4 colours, the Sovereign shutter range can also be produced in any colour from the Dulux Powder Coat range. The Sovereign shutter range is available in an 89mm louvre width.